Delightfully Noted's 2012 Holiday Collection is Here! Do you know how hard it is to find holiday inspiration to work on Delightfully Noted's Christmas collection in the middle of fall? VERY hard. While I'm trying to think fruit cakes and mistletoes I'm constantly being bombarded with pumpkins and goblins. Okay, who am I kidding? No one really tries to think about fruit cake, right? Well, alas the 2012 holiday collection is finally here! looking to send out some seasonal well wishes I got you covered. Check out the full holiday line here. And because it is the season of giving I am offering a special deal just for you. For a limited time mention coupon code: NOCOALFORME and receieve 20% off your total order. Speaking of the holidays, there's 53 days left till Christmas! Not that anyone is counting or anything. I know many of you have a tradition to do holiday family portraits every year or perhaps you're already planning little Suzy-Q's trip to see Santa. 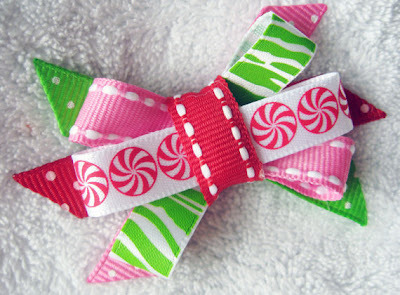 In that case you'll definately want to check Baby A's Bows! This shop is full of adorable girl's hair bows at a fraction of the price most retail shops will charge you. Check it out for yourself. 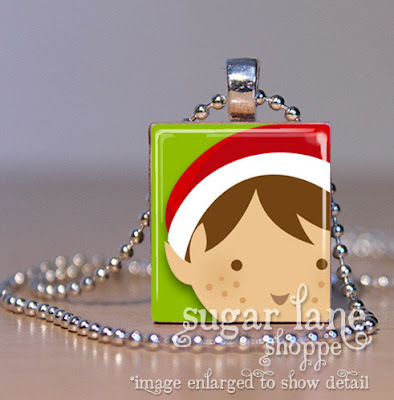 For those of you who are early Christmas shoppers you will definately want to peruse through the Sugar Lane Shoppe. There are tons and tons of handmade scrabble tile necklaces to choose from. TONS I tell you! These would make the perfect gift for teachers, neighbors, or even your aunt. Browse through all the cute themes here. I love your holiday collection! We've never done the ugly sweater party but we sure love cookie exchanges! Beautiful collection! So much fun!!! So cute! The "Be Merry" cards are my favorite, but everything is so adorable! I need to order my cards earlier this year!! I'm heading over now! Need to find some & I love supporting other bloggers!